The following agencies assist a homebuyer in purchasing a home. The assistance will vary between the different agencies depending on the programs available. For your protection, if you need closing cost and downpayment assistance, make sure the real estate agent you are considering using is familiar with these programs. Or, call us right now at 520.616.3426 for a consultation. Freddie MAC NSP Program - offers up to 22% down payment assistance for buyers with home prices between $100,000 - $170,000. Selected properties have already been inspected and repaired in zip codes 85706, 85710, 85712, 85713, 85741, 85743, 85746, 85747, 85629, 85641 and 85653. Call 520.616.3426 for more information. TMM Family Services - The First Time Homebuyers Program through TMM is designed to assist low-income homebuyers with the purchase of an affordable first home. Arizona Department of Housing - The MRB Plus Program combines the attractive first mortgage interest rate of the Mortgage Revenue Bond loan (30-year fixed rate) with downpayment and closing cost assistance. 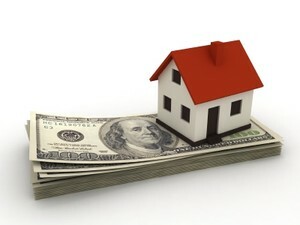 MRB Plus offers 5% of the purchase price to be used toward a downpayment or closing costs of the loan. The program is available in all areas of Arizona outside of Maricopa and Pima counties. There are homes in Pinal, just north of Marana and Oro Valley, that would qualify for this assistance. Chicanos Por la Causa - CPLC is a Housing and Urban Development (HUD) approved counseling agency with over thirty (30) years of experience in the development of affordable housing in both urban and rural communities. Family Housing Resources - The mission of Family Housing Resources ("FHR") is to assist low to moderate-income families and individuals obtain decent, affordable housing. Futures Home Assistance Program - Futures Home Assistance Program is a non-profit organization chartered with the sole purpose of helping to house America by providing gift funds to individuals so that they can purchase a home. These gift funds are a true gift, with no repayment required.